Weddings in Greece, on the island of Peloponnese. Thinking of getting married in Greece? Well look no further, our experienced wedding coordinators can mange your entire wedding on the romantic island of Peloponnese, with unique sunsets. Planning or thinking about getting married in Greece, well look no further, our experienced staff & our wedding coordinators at Sunny Greece, can make your dreams come true. We have a wide selection of services that we can provide for you. For the moment, we are arranging weddings in Peloponnese, click here to plan your wedding in Greece and let us do the rest. We also arrange honeymoons for newly weds in Greece. 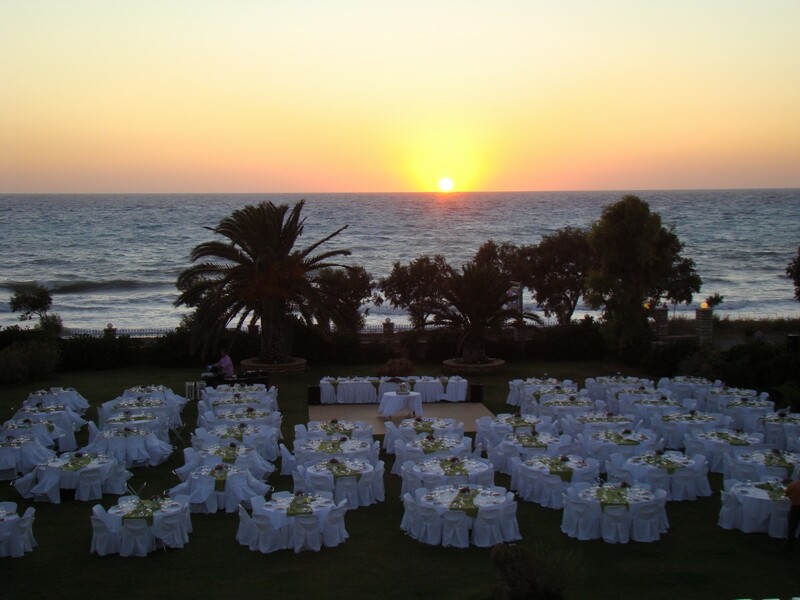 Irida Resort Suites in Kalo Nero of Kyparissia is the ideal location for a dreamlike wedding in Greece. It’s the ideal place for the wedding ceremony, as well as the wedding honeymoon. The wedding ceremony can be in a nearby church and the wedding event, in Irida Resort Suites. The estate can accommodate in the outer place up to 800 seating or 1500 standing guests, offering a relaxed atmosphere with spectacular view. If you wish to celebrate that special day in your life with your relatives and friends, we would be happy to accommodate you. During the spring and the summer, the garden of Irida Resort Suites is ideal for wedding events, with a view of the deep blue Ionian Sea and magnificent gold sunsets! Keep memories for your whole life!! !